634 pages | 42 B/W Illus. Miguel Mera is Reader in the Department of Music and Associate Dean (Research and Enterprise) at City, University of London. Ronald Sadoff is Associate Professor and Director of the Department of Music and Performing Arts Professions in the Steinhardt School at New York University. Ben Winters is Lecturer in Music at The Open University, UK. 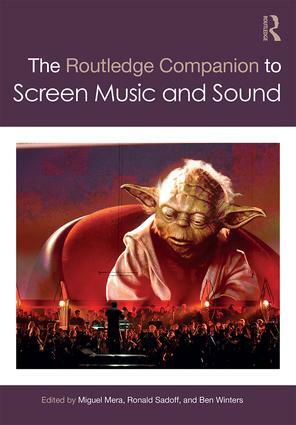 Routledge Music Companions offer thorough, high-quality surveys and assessments of major topics in the study of music. All entries in each companion are specially commissioned and written by leading scholars in the field. Clear, accessible, and cutting-edge, these companions are the ideal resource for advanced undergraduates, postgraduate students, and researchers alike. You may also wish to visit our Routledge Handbooks Online platform to view Routledge's full companion and handbook offerings: https://www.routledgehandbooks.com/.